Our last Why Social Science? 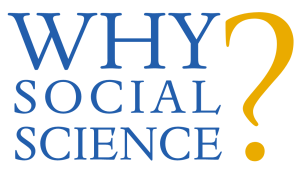 guest post of 2017 was contributed by Felice J. Levine, Executive Director of the American Educational Research Association and Chair of COSSA’s Board of Directors, who reflected on the inaugural year of Why Social Science? Read it here and subscribe. T his week’s Why Social Science? guest post comes from Juliane Baron of the American Educational Research Association, who writes about how education research has challenged our assumptions about how we learn and helped us improve the way we teach students. Read it here and subscribe. The American Educational Research Association (AERA), a COSSA Governing Member, has extended the deadline for the 2017-2018 Congressional Fellowship Program. Applications are due January 17, 2017 for fellowships that run from September 1, 2017 through August 31, 2018. The fellowship aims to “use education research skills to inform public policy in a Congressional office in Washington, D.C.” Interested candidates can apply here. As part of a year-long celebration of its centennial year, the American Educational Research Association (AERA), a COSSA governing member, is holding a Centennial Lecture Series, which reflects AERA’s “fundamental commitment to connecting education research on significant issues to wide public and policy audiences across our country.” The six-city series kicked off in Brooklyn in November 2016 and will continue through April 2017. Webcasts of the November 30 lecture featuring Patricia Gándara discussing Educating Immigrant Students and Emergent Bilinguals (In an Anti-Immigrant Era), and the December 6 lecture in Seattle with Bruce McCandliss on Early Education and the Brain: Making Novel Connections are now available. For more information and/or to register to attend the lectures, visit AERA’s website. On June 28, the American Educational Research Association (AERA) held a briefing, After Fisher: What the Supreme Court’s Ruling Means for Students, Colleges, and the Country, to discuss the recent U.S. Supreme Court decision in Fisher v. University of Texas, Austin (Fisher II). A distinguished panel of civil rights and education research experts focused on the impact of the Fisher II ruling and its implications for ensuring quality education for all students. The Court’s June 23 ruling reaffirmed “the compelling governmental interest in promoting student-body diversity in higher education and upheld the constitutionality of the University’s race-conscious admissions policy under the narrow tailoring requirement of strict scrutiny.” According to Angelo Ancheta, Counsel of Record for AERA et al. Amicus Curiae Brief, the Court’s ruling is “fully supported by the scientific literature on diversity.” This includes research on the educational benefits of diversity, the harms of racial isolation, critical mass, intra-racial diversity, and research refuting claims that race-conscious admissions policies harm minority students. In addition to Ancheta, panelists included Gary Orfield, University of California, Los Angeles; Theodore Shaw, University of North Carolina School of Law at Chapel Hill; Liliana Garces, Pennsylvania State University; and Sheila Flores, New York University. Felice Levine, AERA executive director, moderated the session. The panelists addressed the constitutional findings of the ruling and its implication for civil rights, how the ruling comports with research on benefits of diversity in education, research as an asset and continuing opportunities, implications of Texas processes to other institutions and states, and opportunities and priorities for future research. A broadcast and additional information is available on AERA’s website.